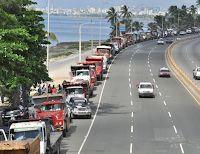 The Diario Libre, one of the largest circulation dailies on the island of Hispaniola, is reporting that Fenatrado -- the National Dominican Transport Federation -- is refusing to deliver food, medicine and other merchandise into Haiti, with all drivers paralyzing their operations at the three main border cities: Jimaní, Dajabón, and Elías Piñas. The Chief of the Dominican Transport Federation, Mr. Blas Peralta, told Diario Libre that his colleagues are unwilling to drive into Haiti until the Haitian government provides them adequate protection. 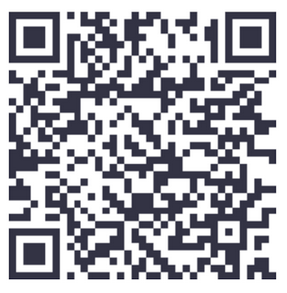 Mr. Peralta further added: "We won't enter Haiti. If the recipients of the merchandise still want it, they can come and pick it up on our side of border." However, this is an almost impossible task for many of the groups/individuals awaiting the arrival of medicine and construction material -- exceeding over 4,000 tons by current estimates, up to 30% of which may be food -- due to the lack of vehicle ownership by many Haitian entrepreneurs and food retailers. Further, road conditions in certain towns in Haiti means that large retail centers will simply begin to suffer shortages as individuals begin hoarding. These shortages will most severely affect Haitians who are unable to drive, essentially meaning that the elite will suffer no consequences. 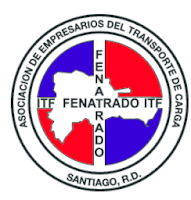 The Listin Diario, a large circulation daily in the Dominican Republic, reported that Fenatrado is only willing to lift the mini-embargo when the Haitian government agrees to abide by accords signed with the Dominican Republic, in which Haiti promised to provide protection to employees of the Dominican Transport Federation. Mr. Peralta told the Listin Diario: "The border is not closed. Only trucks affiliated with the Dominican Transport Federation, about 6,500, will cease transporting merchandise into Haiti." Mr. Peralta said that this stoppage was due to a series of daily assaults over the last two weeks in which 60 drivers suffered broken windshields, punctured tires, and stolen merchandise at the hands of Haitian mobs. According to Mr. Peralta, 5 truck drivers are currently hospitalized as a result of the attacks. Due to current tensions between the Dominican Republic and Haiti over the DR's heavy-handed immigration policies, it is unlikely that this situation will be resolved in a timely manner. Though the Dominican Transport Federation stands to lose a significant amount of money, the people most affected by this stoppage will be those who most need the food and medicine and building materials delayed at the border.